You’ve decided you want to exercise at home. 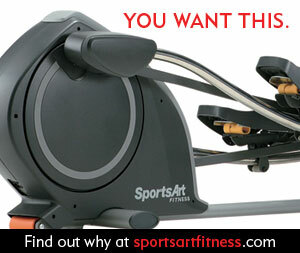 There are hundreds of pieces of home cardio equipment available. The most popular are treadmills and exercise bikes. In deciding between the two, you should compare long-term sustainability, the effectiveness of the workouts, and safety. The biggest obstacle to a home exercise routine is sticking with it. You don’t have to drive to a gym, so your home fitness equipment is more convenient. The problem is that other distractions are just as convenient at home. The key is to make your routine fun. You want to look forward to your daily workout. You have to be realistic. Playing with the heart rate monitor or watching the calorie counter go up will only be fun the first couple of times you exercise. On a treadmill, you walk. Walking isn’t that fun. You can walk at different speeds, but that isn’t really much more fun. If you get a treadmill that offers an incline, that keeps it a bit more interesting. Walking uphill isn’t exactly fun, but it’s different. It presents a challenge. You can’t really read on a treadmill because you are bouncing up and down. You can’t keep your eyes on the same sentence, and you usually end up with a headache. Basically, the only thing fun to do on a treadmill is watch television or movies. If you are really into TV or movies and are able to put your treadmill in front of a television, you can probably keep your treadmill workout from becoming too boring. Problems consist of commercials, the noise coming from the machine, and again, the bouncing. Exercise bikes are unique in that many of them come programmed with various biking routines. You simulate different courses that require you to sprint, pedal uphill, and perform at different levels within one workout without having to keep pressing buttons and changing everything. You can even select random programs so you don’t know what’s coming, which really keeps you on your toes. Some exercise bikes can even be plugged into televisions and video games to let you interactively pedal through visual courses. On average, most people burn about 750 calories per hour on a treadmill. The same people are likely to burn about 550 calories per hour on an exercise bike. So it’s a no-brainer, right? You should get a treadmill because they burn more calories. Well, not exactly. You can’t get so caught up in which machine burns the most calories. You have to take a lot of other factors into consideration. How likely are you to sustain a treadmill routine as opposed to an exercise bike routine? The first case of safety is the most basic. You can fall off of a treadmill. It’s very difficult, however, to fall off of an exercise bike. In fact, you would probably have to try to fall when riding an exercise bike. While you might be thinking you’d have to be pretty clumsy to fall while walking, it happens more than you’d think. People get involved with watching television or the beat of music. One wrong step and you can seriously injure yourself. It’s also possible to spill water or sweat on the treadmill track, causing a safety hazard you might not notice until after you’ve slipped. The less you stress joints, the less likely you are to sustain an injury during your workout. You are also less likely to be sore afterwards. Most importantly, a non-workout injury doesn’t always have to halt your exercise routine on an exercise bike. If you hurt your back or neck, you will find the support of a recumbent exercise bike will keep you from having to stop your exercise regimen altogether. Let’s face it – if you have to stop, you are less likely to start again. As you can see, both pieces of home fitness equipment have advantages. While the treadmill continues to be the most popular piece of home gym equipment, most people are more likely to faithfully use an exercise bike. This means you’re more likely to have to dust a treadmill until it gets the garage sale sticker.